Father and mother are two pillars on which the small institution called family is standing firmly. In order to honor fathers worldwide and celebrate fatherhood or paternal bonds of father, Father’s day is celebrated every year on third Sunday of June. 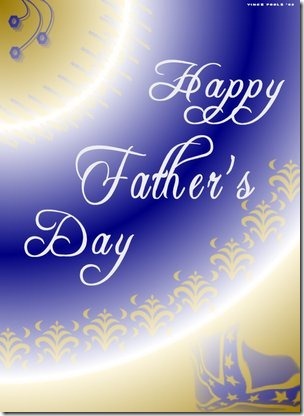 This special day is dedicated to all fathers. Some of the countries also celebrate this day on different days. Father and mother play many roles like ultimate caretakers, protectors and teachers of their children. So they are honored once every year. The basic idea of celebrating this day was to compliment Mothers Day. The celebrations of father’s day include feasting, merry making and giving fathers day gifts. As a mark of respect, gratitude and love gifts are given to fathers. Now a day’s various gifts are available in the market to offer to Fathers on this special day and express sincere feelings of thanks giving to fathers. There are many ways to celebrate the day like arranging his favorite food and drinks, taking him out for a movie or theatre. This day should be celebrated in such a way that your father should feel proud and special on the day. If you want to make the day a grand celebration then all your family members can go for outing to a resort or one day picnic spot and celebrate this special day there. For wishing him good health and long life you can send a greeting card well in advance of the special day. Celebrating certain days dedicated to particular persons in the society is a well saturated idea in the European and American society. Such type of dedicated day celebrations originated mostly from the western countries. But the concept is accepted and followed throughout the world including Asian countries like India. 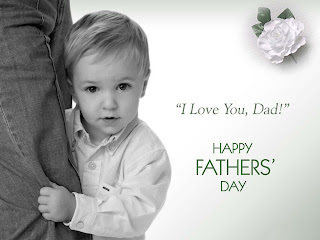 In India this year’s father’s day will be celebrated on 17th of June. Father’s day concept in the Indian cities is also spreading to the towns and villages. In Indian society, father and mother are given prime importance since historic times. Even though special days are not allotted to pay respects in India generally parents are respected all the time. In India the common gifts given on father’s day are bouquets, wine bottles, greeting cards and wrist watches. Many places host cultural programs to honor dads. For the children living away from their parents this day keeps a lot of importance and they pay their respects by sending e cards and online messages. Parents take lots of pains in bringing up their children to a certain level of respectful life. The Fathers apart from their religion, cast, and geographical location are very much similar in one thing, they have a heart which can absorb every sorrow, every pain in life and still always look forward for the well being of their children. He is not expressive like mothers, who expresses her joy and sorrow instantly. He is the person who keeps all his pains inside his heart and strives only for the well being of his kids. This year on 17th June which is the auspicious father’s day, we salute all the fathers of the world. Those who want to make this years fathers day very special, can gift their fathers a special gift called Magic Holidays. The gift will surely be remembered for many years.